– 4 ads on the DanceMasters’ Facebook page (1 ad / week). Package cost: 2,500 euro (VAT not included). – 2 ads on the DanceMasters’ Facebook page (1 ad / week). – a black curtain instead of one of the boards from the back of the stand, to access the storage space behind the stand. 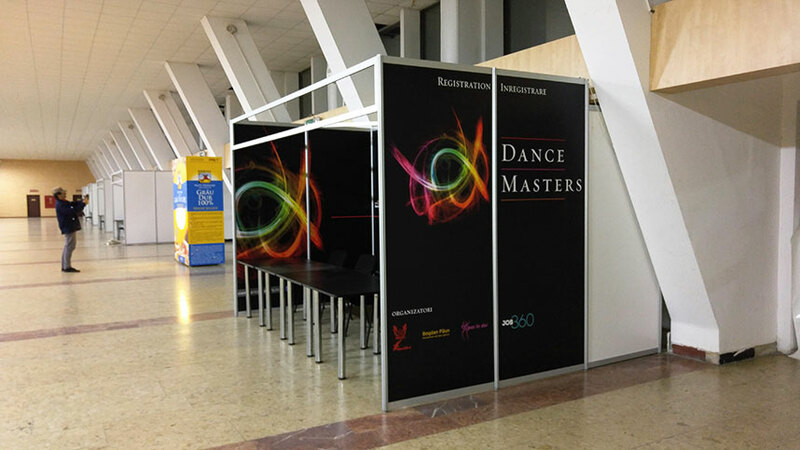 Contact us at pr@dancemasters.ro with the subject Stand at DM to choose your position. The booking policy is: “first come, first served”. No exceptions! The stand is considered reserved after the processing of the payment, according to the contract executed with the organizer of the event. The stand is designated for one client only. 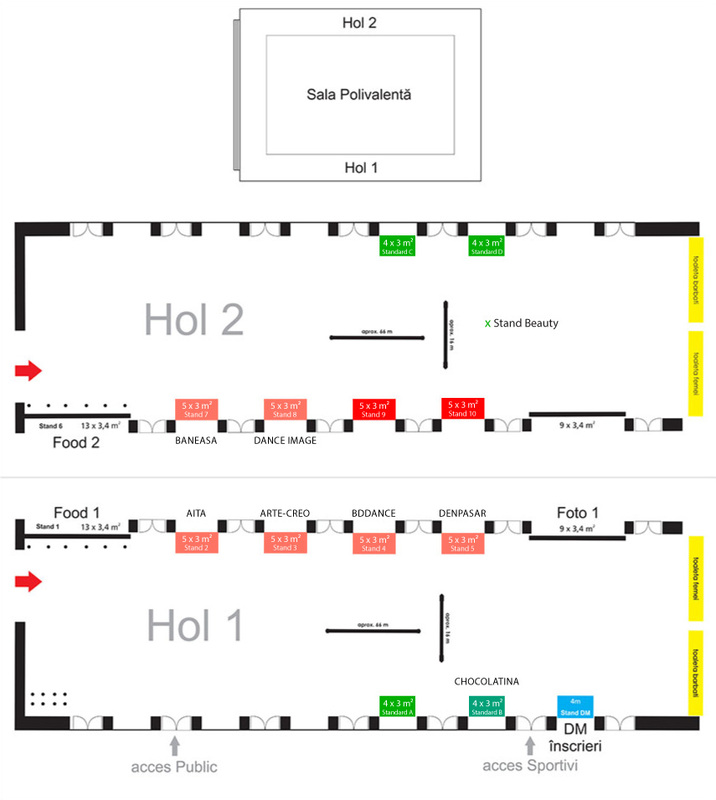 Two exhibitors in the same stand is not accepted.